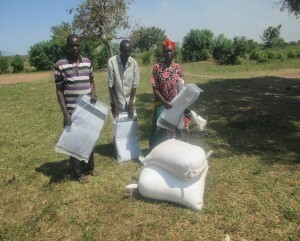 In November, TDT were able to send £3000 to the flood-hit areas of Amuria. The flooding has been worse this year, destroying the homes and crops of 1000’s of people. 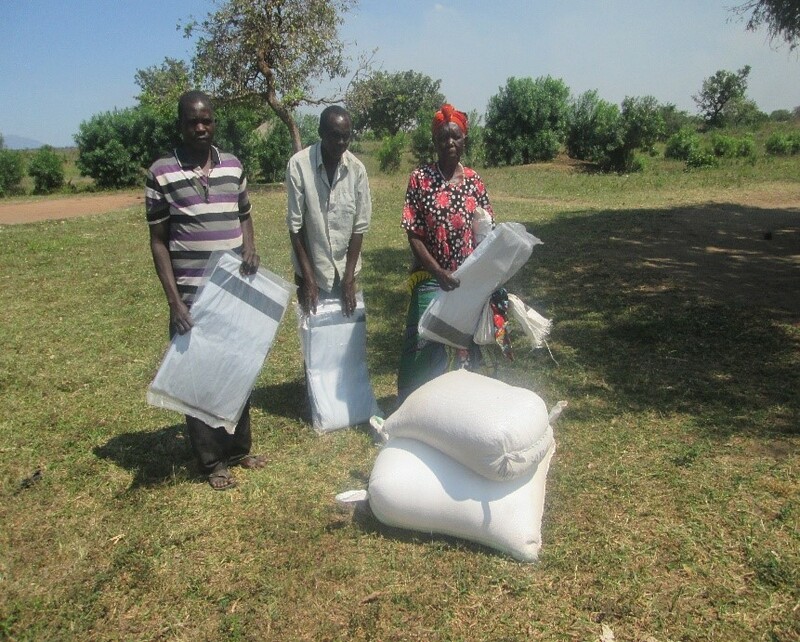 Through the generosity of our UK partners, and with the hard work of PAG Kido (the Pentecostal Assemblies of God Development Agency in the area), 75 households have been provided with emergency food and tarpaulins. This relief was focussed on more vulnerable members of the communities. Below are some of the comments from people who were helped…. “I am now old and cannot support myself alone and I have been thinking of death all the time because of scarcity of food, however, it was something amazing to me when the chairperson came and told me that they wanted old people like me to benefit from the food relief. PAG-KIDO staff came, they assed my situation and brought for me food (posho and beans) and one tarpaulin which have changed my life in a way that I am able to eat three meals in a day which I used not to because of food scarcity. I am now going to request my grandchildren to come and uproot for me cassava that I will spread to my tarpaulin and be able to eat clean food. I am very sure that this tarpaulin will help me for the present and the future use. Thanks to KIDO, may God bless you for your tireless work that you are doing to make us happy from life of despair. I thought this would continue until Jesus comes, however, Gods ways are not ours; little did I know that one day I would be bailed out of this kind of situation. I give God glory for having brought PAG-KIDO to restore in me the hope in life that I had lost. They came to asses my situation and brought for me food (posho and beans) and one tarpaulin. This has reversed my life in a way that I am able to eat three meals in a day which I used not to because of inadequate amount of food. I believe that this tarpaulin will help me during and after floods. I am so optimistic that my life will never be the same again. KIDO may God bless you for your tremendous work and dedicated hearts to transform the lives of the hopeless and desperate! Previous StoryNew Savings & Loan Groups Continue to Grow Next StoryLatest News Letter – Out NOW!